My goals for Pilgrims have always been driven by a desire to do well by doing good. If I was going to devote my time to something it had to benefit others. I wrote the following mission statement over 15 years ago and have worked very hard to realize it but have recently discovered ways to improve my odds at making it a reality. 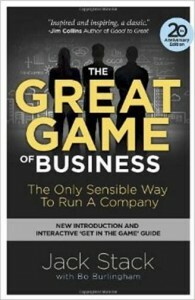 The book uses sports or games as a metaphor for this approach to business management because Jack believes that if a business is to be successful financially as well as ethically it must share three principles found in sports. 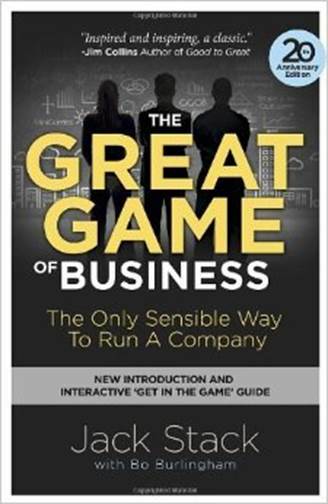 Rule 1 – All “players/employees” must know the rules, Rule 2- Keep score, Rule 3 – Share in the success. Basically, if you treat ALL employees like intelligent people and teach them financial literacy as well as job skills and if you do a great job tracking and sharing with them their performance then they deserve to share in the success in the form of profit sharing. This approach gets very close to sharing ownership and motivates, engages and empowers everyone to pursue professional success by serving customers better and to really love their work. In the last 2 years Pilgrim’s has paid over $200,000 to staff in the form of profit sharing but we are just getting started. 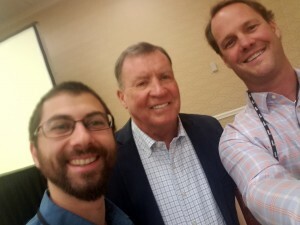 Recently Morgan, our produce manager, and myself attended a conference and were lucky enough to have some great one on one time with Jack himself. We have returned from this conference very motivated to expand this approach in Pilgrims and as a result we will be devoting more time and effort to this management approach. Morgan’s new role will reach more departments than just produce with these techniques of employee engagement. Please welcome and encourage him as you see him elsewhere in the store because some very great things are on the horizon for not only Morgan but our entire staff and most importantly for you, our cherished family of customers!